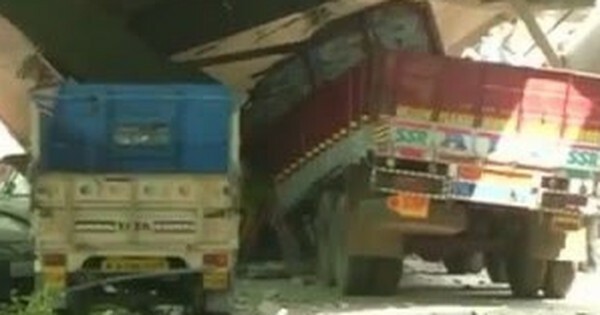 The floor of a bridge outside Mumbai’s Chhatrapati Shivaji Maharaj Terminus collapsed on Thursday evening. 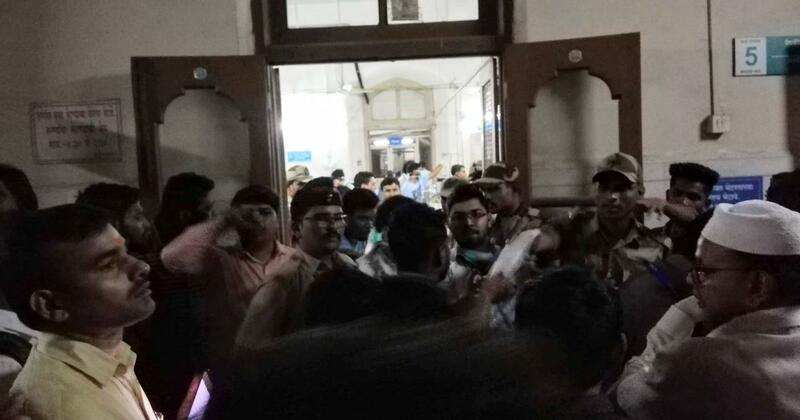 Even as politicians with small entourages broke through the cordons of police and hospital staff to enter Ward 5 of Mumbai’s St George Hospital, some relatives and friends of the injured people being treated inside the ward were asked to wait outside. 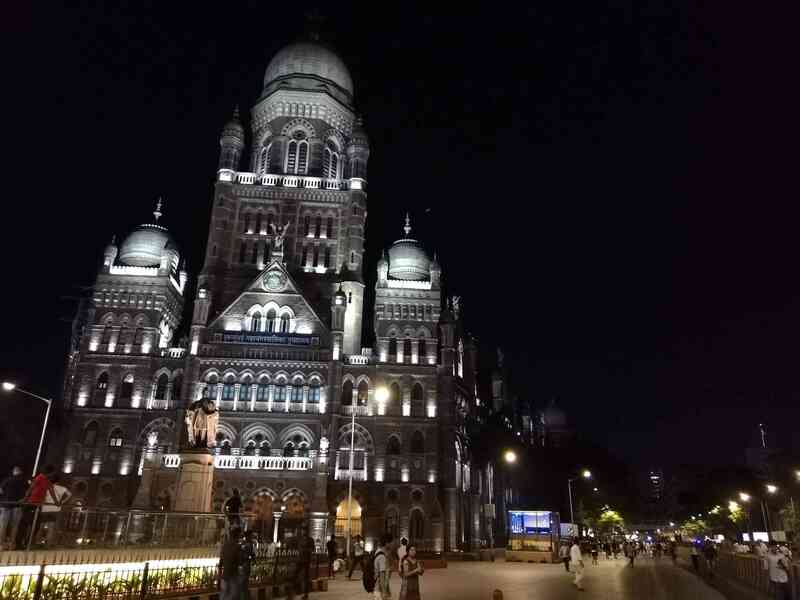 Five people were killed and 35 injured after a foot-over bridge outside Mumbai’s iconic Chhatrapati Shivaji Maharaj Terminus station collapsed at around 7.15 pm on Thursday. The bridge is just around 100 metres away from the head offices of the Municipal Corporation of Greater Mumbai and of the Central Railways. A foot overbridge had collapsed in Andheri in July 2018 and several people died in a stampede on an overcrowded bridge at Elphinstone Road station in September 2017. Sujoy Maji, 25, works as a jeweller in the tiny sweatshops of Zaveri Bazaar nearby. His younger brother Saurabh, who also works in the same business, was waiting anxiously outside the ward for more news. Hospital staff attempted to keep order in the crowd of bystanders, asking relatives to come forward with contact details and after some time, handing them printed sheets with the patients’ case details. Three young men, one of whose injured brother was inside the ward, were denied entry. Their relative’s wounds were serious, a hospital orderly told them, and they should wait outside. Another family sat in shock on a bench as a doctor broke the news of their relative’s death to them. Nanda Kadam, 57, a bank manager at Sahyadri Cooperative Bank in Chira Bazaar, was among those on the bridge when its floor gave way. Her co-workers received a call from the hospital and reached there right away. They said that Kadam had major fractures in both her legs, but did not yet know details. Just an hour after the accident, all the injured, some of whom had been stuck under the debris of the bridge, were moved to two nearby hospitals. Among those who helped was Sheikh Furqan Yusuf, a young man standing near the Crime Branch headquarters, a few hundred metres north of the bridge, when it collapsed. He went there immediately to help. “I personally helped 14 people come to this hospital,” Yusuf, who was waiting restlessly outside the hospital’s doors, said. On reaching the bridge, he had hailed taxis to ferry the injured commuters for treatment. One of them had a broken jaw. Two others, he said, died in his hands. Atul Rathod, a social worker, also came directly to the hospital as soon as he heard the news. “As I am a social worker, I did not want to go to the scene,” Rathod said. “I knew I could be of more use here.” Rathod said that he had helped wheel stretchers between wards and above all tried to staunch the bleeding. He added that about four or five people were severely injured. Three earthmovers were already removing the debris at the bridge an hour after the incident. Around two-thirds of the bridge’s floor had collapsed on to the road below, leaving the skeleton of the bridge intact. Firemen and policemen attempted to keep away bystanders, some of whom were taking selfies and videos of the scene. The entire road, ordinarily crowded at that hour with north-bound vehicular traffic, had been closed. Shiv Sena workers crowded around news cameras and listened intently to anyone who might be speaking against the party. The corporator of the ward where the bridge is located is from the Shiv Sena, as is the Member of Parliament.